Spring this year is developing well. Even here on the chilly east coast of Scotland colonies are looking good and flying strongly when the sun is out. Large amounts of pollen are being taken in and there’s every sign that the hives are queenright and rearing lots of brood 1. It’s too soon 2 to open the colonies but it’s not too soon to be thinking about the consequences of the inevitable continued expansion over the next few weeks. Most healthy colonies will make preparations to swarm, often between late April and mid-June. The timing varies depending upon a host of factors including colony strength, climate, weather, forage, build up and beekeeper interventions. 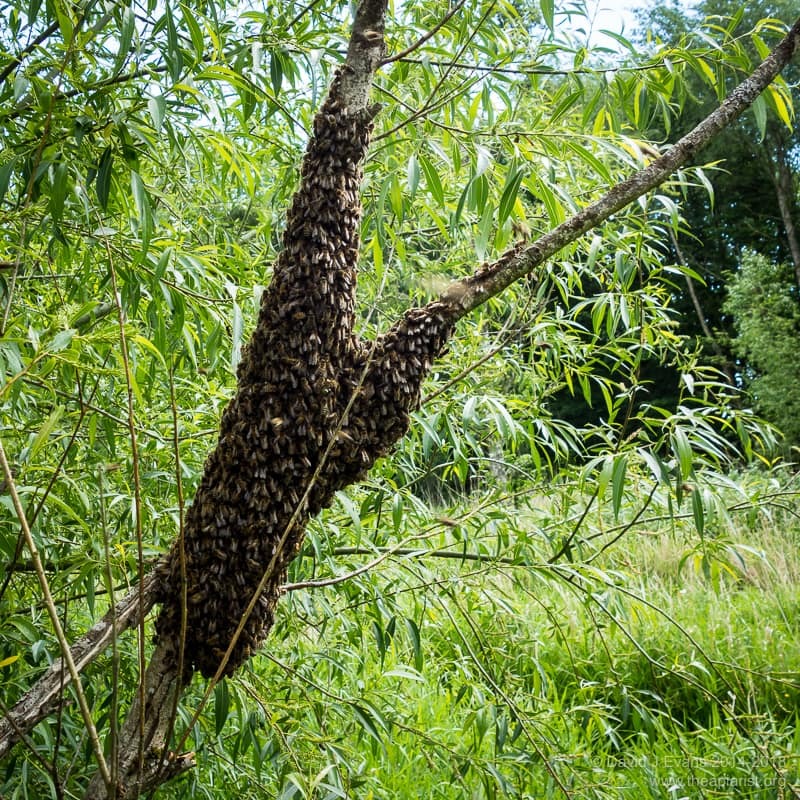 You, like all responsible beekeepers, will use appropriate swarm prevention methods. Supers added early, ensure the brood box has space for laying etc. In due course, once the colony gets bigger and stronger, you’ll notice queen cells and immediately deploy your chosen swarm control method e.g. the classic Pagden artificial swarm, the nucleus method I described last week, Demaree, vertical splits or – if you’re feeling ambitious – a Taranov board 3. … and just in case the beekeeper a couple of fields away is forgetful, unobservant, clumsy, on holiday, in prison or has some other half-baked excuse, be prepared for swarms. 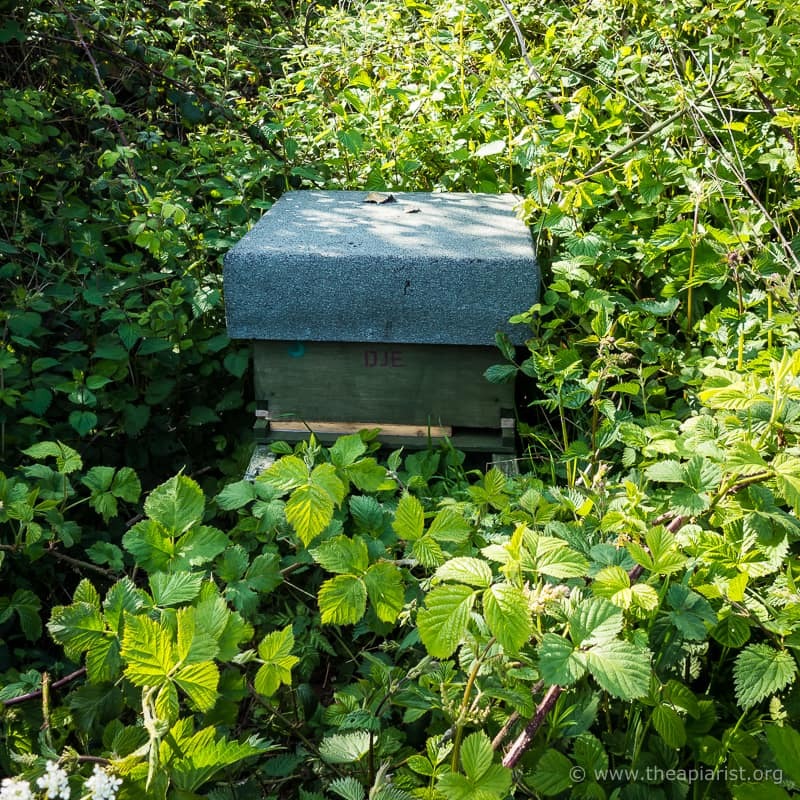 As an aside, other than just walking around the fields, you can easily find hives near you by searching on Google maps and you can get an idea of the local beekeeper density 4 using the National Bee Unit’s Beebase. You might think you know all the local beekeepers through your association, but it’s surprising the number who just ‘do their own thing’. The colony ‘decides’ to swarm and starts to make queen cells. Almost certainly, scout bees start to check out likely sites the swarm could occupy in the future 5. The swarm leaves the hive on the first calm, warm, sunny day, usually early in the afternoon, once the queen cells are capped. The prime swarm contains the mated, laying queen and about 75% of the worker bees 6. Scout bees continue to check out likely final sites to establish the new colony, returning to the swarm and ‘persuading’ other scouts (by doing a version of the waggle dance) so that, finally, a consensus is reached. This consensus is essentially based upon the suitability of the sites being surveyed. The scout bees lead the swarm to the new location, they move in and establish a new colony. If you’re lucky you will be able to recapture the swarm if the spot they choose for their bivouac is within reach, not above a stream, in a huge thorny bush or on an electricity pylon. I say ‘recapture’ because, since the bivouac is usually near the issuing hive, it’s probably come from one of your own hives (unless you are snooping around your neighbouring apiaries 7). But what if you miss the bivouacked swarm? Or if your neighbour misses it? Those bees are going to look for a suitable location to set up home. This is where the bait hive comes in. Leave a couple in suitable locations and you can lure your own and other swarms to them. A dark empty void with a volume of about 40 litres. Ideally located reasonably high up. A small entrance of about 10cm2, at the bottom of the void, ideally south facing. Something that ‘smells’ of bees. What I’ve just described is … a used beehive 8. More specifically, it’s a single National brood box (or two stacked supers) with a solid floor and a roof, containing one old dark frame of drawn comb pushed up against the back wall. No stores, no pollen 9, just a manky old dark comb. The sort of thing you should be turning into firelighters. However, you can improve things by giving the bees somewhere to start drawing comb and siting the hive in a location that makes your beekeeping easier. The first thing swarms do when they move in is start drawing comb. You can populate the bait hive with a few foundationless frames so they’ve got somewhere to start. In my view foundationless frames are much better than frames with foundation for bait hives. The scout bees measure the size of the void by flying around randomly inside 10. If you have sheets of foundation they’ll crash into it frequently, effectively giving them the impression that the void is smaller than it really is. And therefore making it less attractive to the scouts. 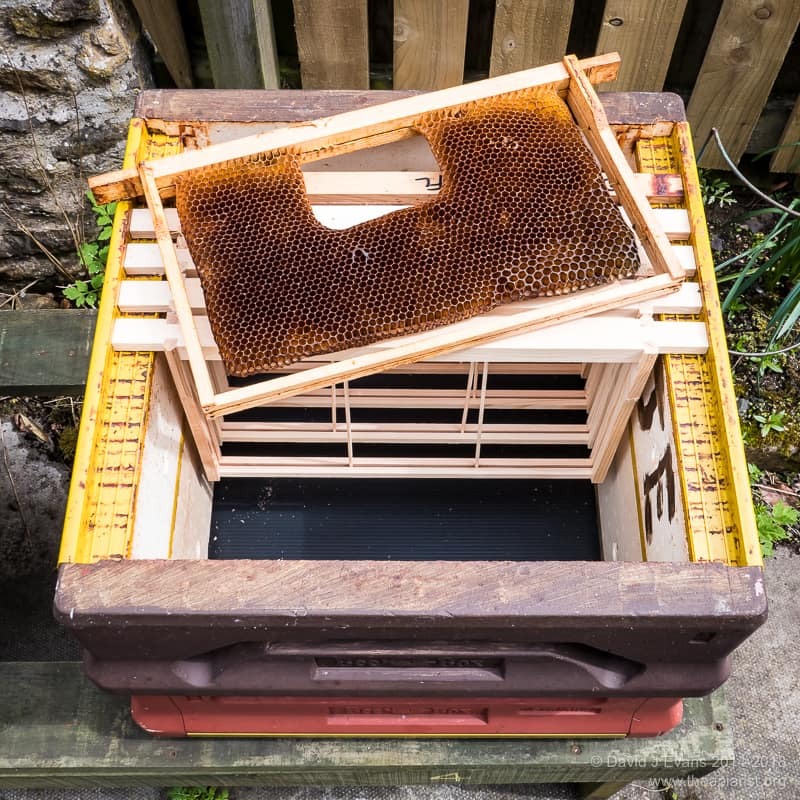 You can improve the smell of the hive by adding a little lemongrass oil to the top bar of one of the frames. Don’t overdo it. A drop or two every 7-10 days is more than ample. If you do use foundationless frames make sure the hive is level. If you don’t the comb will be drawn at an angle to the frames which makes everything harder work later in the season. Your smartphone probably contains a spirit level function that makes levelling the bait hive very easy. It was Tom Seeley who worked out most things about scout bees and swarms (see his excellent book Honeybee Democracy). This included the observations that they favoured bait hives situated high up. Believe me, it’s a whole lot easier if the bait hive is on a standard hive stand. It’s easier to level, it’s easier to check and it’s easier – in due course – to retrieve. I’ve previously discussed how far swarms prefer to move from their original hive. Contrary to popular opinion (and perhaps illogically) they tend to prefer to move shorter distances i.e. 20m >> 200m >> 400m. However, there are also studies that show swarms moving a kilometre or more. Don’t get hung up on this detail. Stick out a bait hive or two and, if there are swarming colonies in range, they’ll find it. I always leave a bait hive in my apiaries and one or two in odd corners of the garden. In the last few years I’ve never failed to attract swarms to the bait hives, and know for certain that some have moved in from over a mile away as the bee flies (thanks Emma 😉 ). Assuming you don’t have the luxury of living in Varroa-free areas of the UK (or anywhere in Australia) then the incoming swarm will contain mites. Studies have shown that ~35% of the mite population of a colony leaves with the swarm. But, for about the first week after the swarm sets up home in your bait hive, what’s missing from the new arrivals is sealed brood. Therefore the mites are all phoretic. Do not delay. Treat the swarm with an appropriate miticide to knock back the mite population by ~95%. An oxalic acid-containing treatment is ideal. Single dose, relatively inexpensive, easy to administer (trickled or vaporised) and well tolerated by the bees. Far better to slaughter the mites now. In a few months their numbers will have increased exponentially and the majority will be in capped cells and more difficult to treat. The short video below shows entrance activity in the bee shed in mid-March. Note the large proportion of returning foragers laden with pollen. What a wonderful sight! 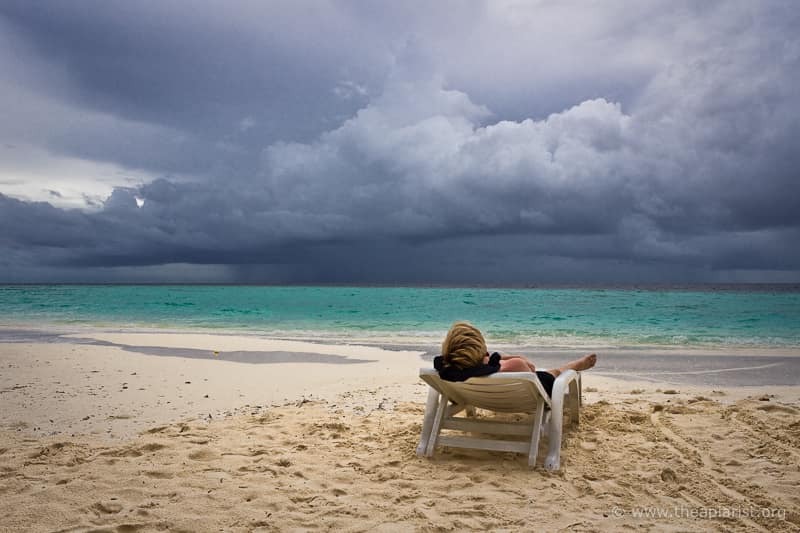 Here at least … I’m unlikely to look in any colonies until the middle or end of April. In some years, with a cold Spring, it might even be early May. You may already be doing full inspections. That was a joke. Look it up by all means, but then use something else. i.e. number of apiaries around you, not the intelligence of the apiarist. Most references to scout bees only deal with what happens after a swarm has left the hive. My own observations suggest the scouts are busy, er, scouting likely locations for several days before the colony swarms. I’m not going to discuss casts or afterswarms here – I’ve covered these before. The video below shows typical scout bee behaviour. Rather than approaching the entrance and going straight in they check it out from all angles. The bees that enter are not carrying pollen. Many of them stand around at the entrance. Individual bees can take several minutes to examine the bait hive. If there are just a few scouts and you listen closely at your hive you can hear them banging around into the side walls as they ‘measure’ the size of the void. Or you will encourage robber bees, not scout bees. A gross oversimplification. They actually measure the mean free path length and you can read more about the theory behind this in a paper by Franks and Dornhaus. 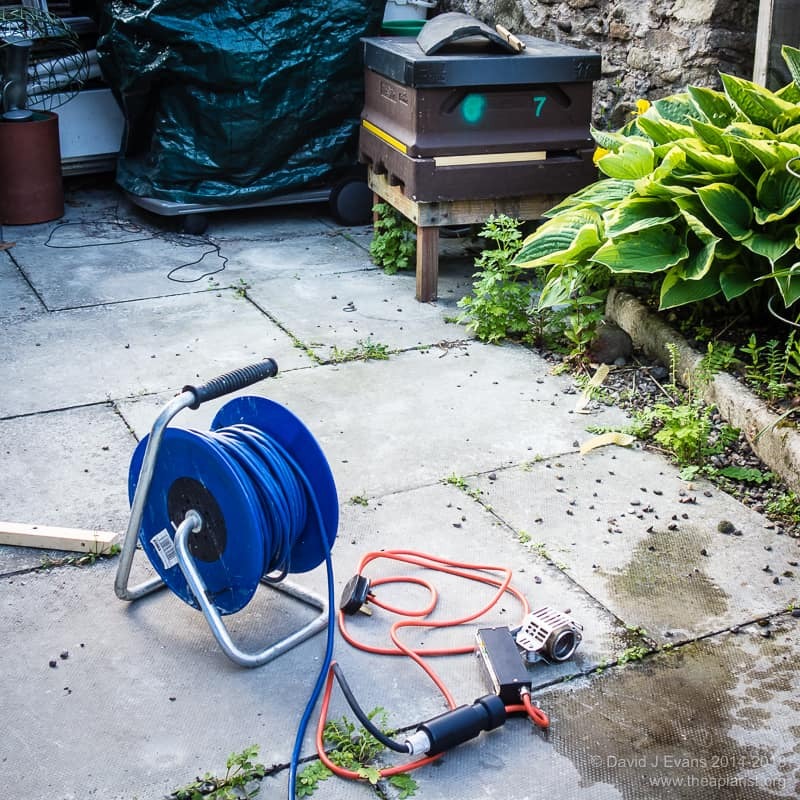 This entry was posted in Beekeeping, Responsibility, Swarms, Varroa and tagged Bait hives, responsible beekeeping, scout bees on March 29, 2019 by David.